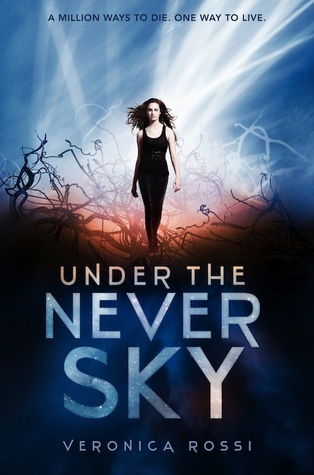 I'll be giving away a copy of Under the Never Sky by Veronica Rossi. 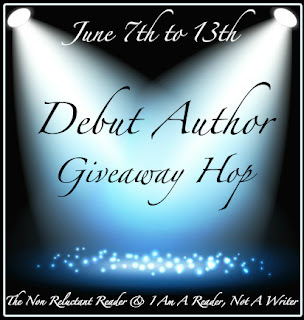 This giveaway is INTL and ends June 13th. To enter fill out the Rafflecopter form below. This is the best prize ever! thank you for the giveaway! I've been wanting to read Under the Never Sky. I've heard a lot of great things about it! Thanks for the awesome giveaway!! Thanks a bunch for joining this hop. Great giveaway, thanks! I've heard so many good things about this book. Ty very much for the giveaway and I think you picked a great book! Thanks for the great giveaway!! This book has been on TBR for so long! Thanks for the giveaway. I've been meaning to read this book ever since it was published. Thanks for the giveaway, I have heard great things about this book! I've heard such great things about this book, and it would be awesome to read! Thanks for participating in the hop and for the giveaway opportunity. I've got this book on my wish list. This is good one- I know cause I've read it! Thanks for the giveaway! I've wanted to read this! Great book choice for your giveaway:) Thanks for the chance to win! I've been wanting to read this! Thank you for the giveaway. Thanks for the awesome giveaway! I've been wanting to read this one! Great book! Thanks for the awesome giveaway! Thanks for the great giveaway I have been really wanting to read this book! I would love to read this, thanks for the opportunity to win it! I have been wanting to read this book! Thanks for the giveaway!! This is my favorite read so far this year so I would love to win it!!! Thank yu so much for the chance to win Under the Never Sky. I seriously need to read this book but sadly I am slacking and haven't gotten to this yet. All my friens loved this book. I want to read it too. Thanks for the giveaway! Thanks a bunch for the chance to win. I desperately want to read this book! Thanks for such a fantastic giveaway! Thanks so much for this giveaway and also for making it international. I can't wait to read this book! I've been wanting to read this book for a long time. Great pick. I haven't read it but it's near the top of my TBR list. Thanks a lot for the giveaway! I've heard a lot of good things about this book and I would really, really love to read this. I really loved reading this, so I'd love to win a copy. Thanks for the giveaway! Thanks for the giveaway...you picked a great book that I am dying to read! Thank you for the giveaway! I love the cover of this book and I'm hoping the story inside is just as great. I've been trying to win this book forever! Haha. Thank you! I'm a new email subscriber. Thanks for the giveaway! I've heard a lot about this book and would love to have a chance to read it! I'm looking forward to reading Under the Never Sky. Thank you for the giveaway!! You're the bomb! I have heard so many great things about this book. Thanks for the chance to win! This book is so wonderful, one of the best debuts of 2012 (at least in my opinion), thanks for the giveaway! Thanks for the chance to win this book! I'd really like to read it! Thanks for the giveaway! I've been dying to read Under the Never Sky!